Design and Made in Italy: these are the trademarks of doimocucine, established in 1994 in Nervesa della Battaglia, Treviso, where it operates a 20,000 square-meter facility with a staff of 75 people. 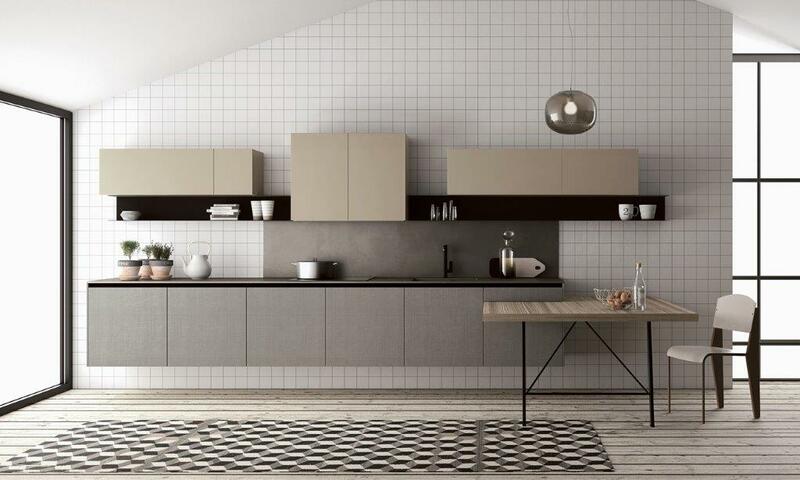 Doimocucine is part of Doimo group, one of the most important Italian companies in the furniture industry. With its production marked by a modern yet artisanal style, for a middle-high range clientele, doimocucine has rapidly conquered both the national and international market: in Italy doimocucine counts on 300 outlets while abroad it has expanded into Europe, the United States and other regions. “In doimocucine, creativity, the search for new materials and customization are built-in qualities that allow us to offer a tailor-made product”, says Enrico Mazzon, General director of doimocucine. “We have also demonstrated a strong push towards the global market: in the last five years doimocucine has been gradually positioning itself in the most strategic cities of the world with mono-brand showrooms. This year we have opened in Shanghai, Beirut, Erbil, Casablanca, Miami, Granada, Bratislava, bringing our presence to 45 different countries. New openings are scheduled for the beginning of 2015”. But in spite of this “call to export”, doimocucine remains a true Italian company, deeply rooted in its territory and its artisanal traditions. In fact, doimocucine manufactures quality furniture, embracing values such as precision, accuracy in every step of the production, eco-sustainability of the products and investment in new technologies. The company’s vision focuses on three main goals, which are at the heart of its commercial success and are aimed at a constant growth and at keeping the company competitive on a global market. First, there’s an ongoing research into new functionalities and shapes and new technologies applied to kitchens, thanks also to partnerships with skilled engineers and prominent designers. Doimocucine’s focus on research allows it to offer a product marked by high-profile design, unique optionals, innovative materials, uncommon and original combinations. Secondly, doimocucine operates only according to high-level standards, which are a guarantee for the quality of the finished product. This quest for quality without compromise has led doimocucine to produce its kitchens exclusively in-house, never through contractors. Finally, there’s the quality of the customer service. The result of this vision are exclusive collections with a contemporary touch, kitchens that are able to evolve constantly according to consumers’ habits, taste and needs. Doimocucine is among the few selected Italian companies that have obtained the Rating 1 evaluation from Cribis D&B, an award to the financial stability and commercial reliability of the organization.